3 x DF65-55s are used for the left, centre and right channels - using designs from the Getty Images collection. Rear channels are taken care of with the Diablo Monitors. The subwoofer is a Panel Sub Duo installed discretely at the back of the room. This system leaves the room clean and elegant when not in use. This design is often used for living rooms, games rooms or anywhere where a permanent installation would prove undesirable. 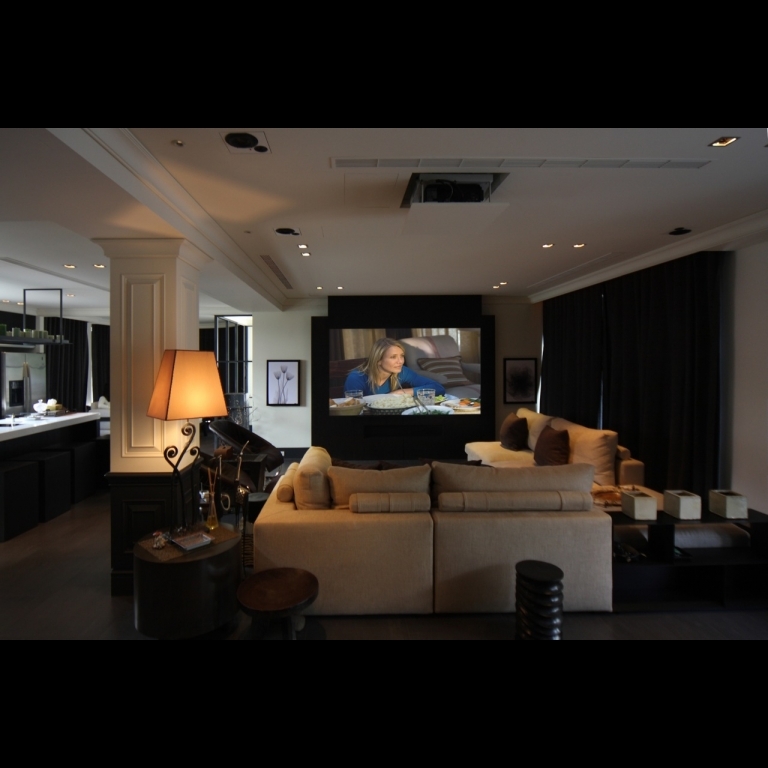 The screen disappears into the ceiling when not in use, dropping down to deliver a genuine cinematic experience when required. Performance of systems using this design can be every bit as good as a dedicated Spitfire cinema, but has the advantage of respecting the aesthetics of the space when not is use.